The advantage of picking a hotel right next to the Kyoto station, was that is was not too much trouble to take the train there to Osaka. From Osaka station, we headed to the Nikko hotel Osaka. After getting out of exit 8 of the Shinsaibashi station, you will find yourself right in the basement of the hotel. It was really easy to find. Since we arrived well before the check-in time of 15:00, we were allowed to leave the bags at the lobby, where an employee watches over it. 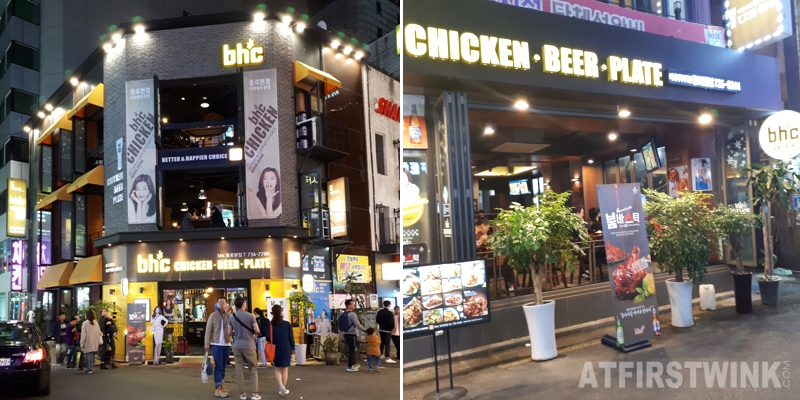 The hotel has an excellent location right in the long shopping strip, Shinsaibashi, so we walked around for a bit and had some lunch. There is a Daimaru department store across the street of the hotel. In the large supermarket located in the basement of that department store, I found some very delicious looking fruit. Fruit in Japan is generally very expensive, but the prices I saw there were very astonishing. Because it is rare for me to be able to taste the famous Japanese peaches and grapes, I decided to splurge. It is not just rare, because I cannot go to Japan as often as I want, but also because these fruit can only be bought during certain seasons. 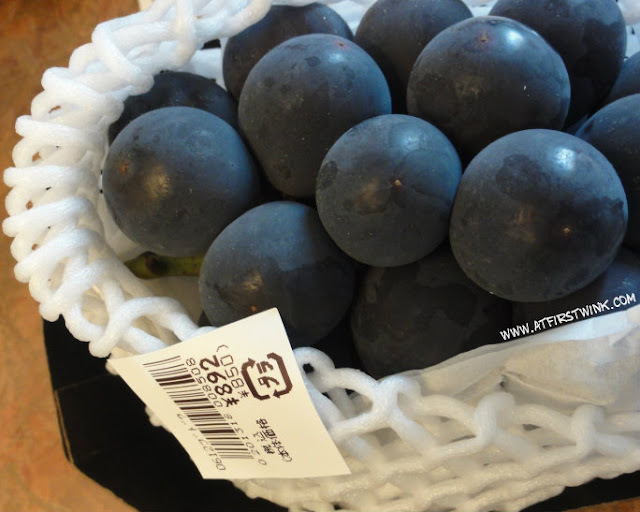 500 grams of large grapes for 892 yen (about 9 euro). The peaches were very large and juicy. They lacked a bit of sweetness, but it could also be, because I choose the peaches that had the lowest price. 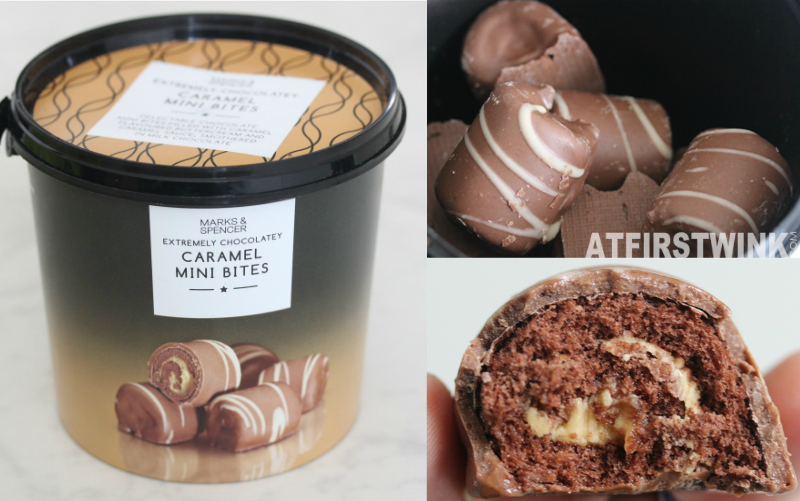 The pricier ones would probably taste even better. 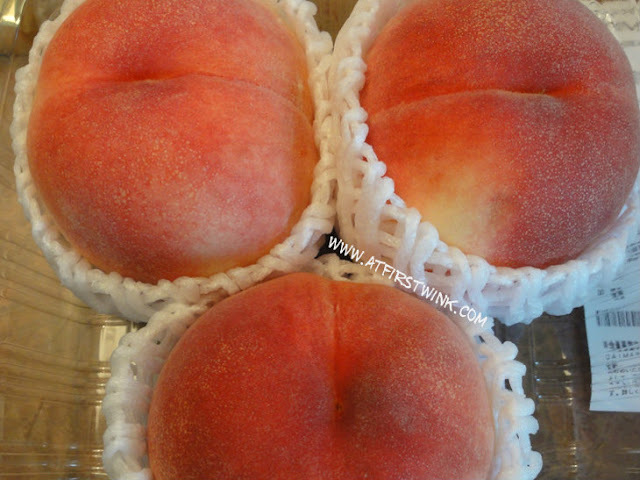 Three large peaches for about 1,000 yen (10 euro).